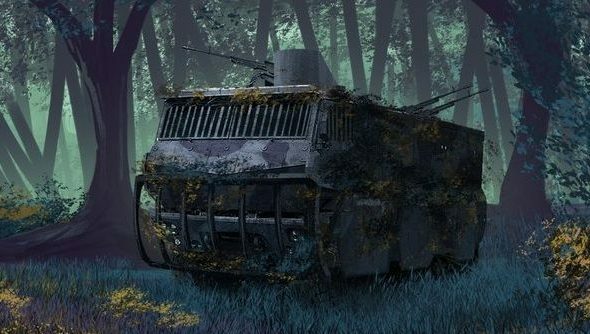 This morning West Games hit their Kickstarter goal of $50,000 to fund their spiritual successor to S.T.A.L.K.E.R. Areal’s team is chock full of developers with previous experience on the S.T.A.L.K.E.R. franchise according to their Kickstarter page. Roughly at the same time the game was funded, West Games delivered a very strange announcement. “We got the weirdest mail today…” said the Kickstarter update. Who from you ask? None other than Russian president Vladimir Putin, who had a few words to say about Areal. My daughter told me about your game called Areal, which is the spiritual successor to STALKER, and told me that she payed money to support your project on Kickstarter. I also love video games as well as shooters, and I like this idea. It’s important that our people do not shoot at each other, but instead, play games like this. The first part of STALKER took place in Ukraine, and in the second game Areal, you put all events in the center of Russia – and if this is a war with mutants in a video game, then that is very interesting. I attentively familiarized myself with your idea and I really like it. If you give me the chance to play the alpha version of the game, when it is ready, then I invite you in advance to the Kremlin, to meet personally, be ready to play a little bit and talk about the interests of young people, the gamers of our country. Now considering recent circumstances, one would probably play this off as a joke. But West Games want to pursue it just in case. “We do have a personal question in case this is real to Putin, but we have no idea on how to contact him.” said West Games. “Could he give the name of his daughter (she probably took her husband’s last name), so that we can check if she actually backed our project? Areal has been mired in controversy as claims that their staff weren’t the S.T.A.L.K.E.R. veterans they claimed to be, but since then GSC Game World and Vostok alumnus Alexy Sytyanov joined the team as the producer.